Ping is a garment that connects to your Facebook account wirelessly and from anywhere. It allows you to stay connected to your friends and groups of friends simply by performing natural gestures that are built into the mechanics of the garments we wear. Technology is integrated into the mechanics of the garment. For example, a sensor is entegrated into the hood allowing the natural gesture of lifting the hood and putting it back down to communicate to Facebook. Lifting up the hood automatically sends a message and updates your status. Putting the hood down sends another message. A Facebook application allows you to customize your messages, assign them to groups of friends and even manage many different types of messages based on where you are, who you're pinging, or what your mood is. 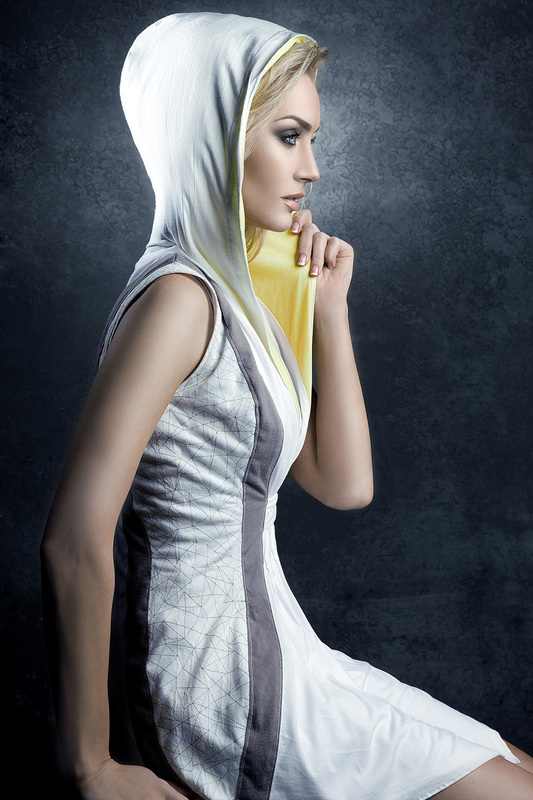 A haptic feedback component is integrated into the shoulder of the garment that provides a subtle "tap- ping" feeling. If your friends send you a comment or a message back through Facebook, the garment will notify you by discretely tapping you on the shoulder. The Facebook application allows you to assign different tapping rhythms so you can begin to create your own personalized feedback language that lets you know who is communicating to you and who is trying to connect. The Facebook application allows you to assign different tapping rythms to different groups of people so you can begin to create your own personalized feedback language that lets you know who is communicating to you and who is trying to connect. 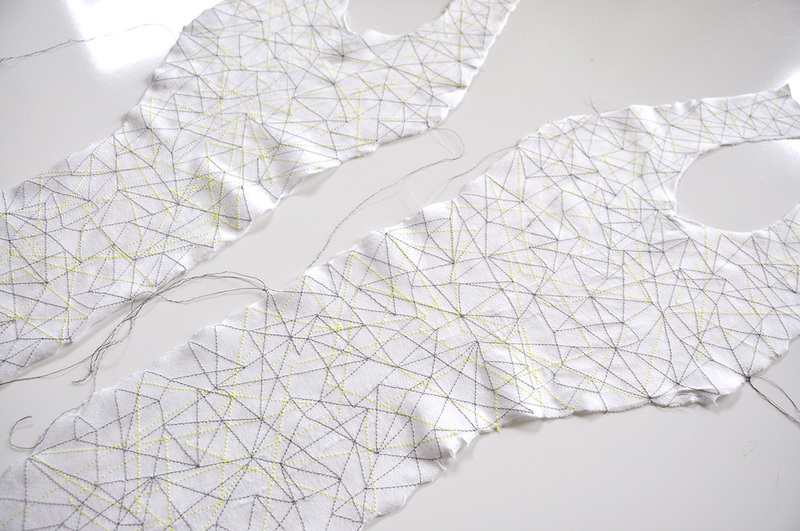 The pattern found on both of the left and right garment panels are constructed of the technology's circuitry. Rather than hide the technology completely, the design of the garment embraces it and explodes aspects of the functionality as the aesthetics of the garment. In this case, function truly does meet fashion. Side panels with patterns made of the technology circuitry.